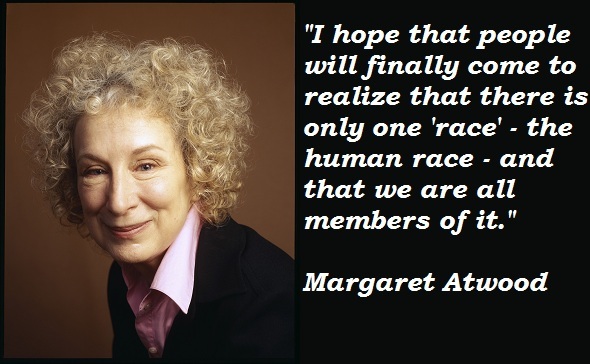 Margaret Eleanor Atwood, (born November 18, 1939) is a Canadian poet, novelist, literary critic, essayist, and environmental activist. She has worn numerous international awards, has been shortlisted for the Booker Prize five times, winning once, and has been a finalist for the Governor General’s Award several times, winning twice. She is the author of more than forty volumes of poetry, children’s literature, fiction, and non-fiction, but is best known for her novels, which include The Edible Woman (1969), The Handmaid’s Tale (1985), The Robber Bride (1994), Alias Grace (1996), and The Blind Assassin, which won the prestigious Booker Prize in 2000. Atwood is also the inventor, and developer, of the LongPen and holds various patents related to it.